Close to 26 million people suffer from some form of kidney disease, and one in three Americans are at risk, as per the National Kidney Foundation. Diabetes, high blood pressure, and family history often contribute to chronic kidney disease that can lead to kidney failure. Other conditions include cancer, infections, stones and cysts. Remedies could range from medications and chemotherapy to corrective surgeries and transplantation. Three-dimensional (3D) medical printing and bioprinting are transforming the field of nephrology by facilitating existing treatments and by improving the success rates of difficult surgical interventions. The kidneys are two bean-shaped organs consisting of over one million nephrons that filter blood and remove waste from the body. Their intricate structure complicates diagnoses and treatment of kidney diseases. Additionally, the organs are located right below the rib cage and are surrounded by several other sensitive and important body parts. Surgeries can, therefore, get problematic, especially without proper imaging. Healthcare professionals are trying to manage these issues by generating exact replicas of the patient’s kidneys using 3D printing technology. The models help them understand the anatomy of the patient and the abnormality prior to the actual treatment. Physicians at Department of Urology and Kidney Transplantation at the University Hospital (CHU) de Bordeaux in France scan patients’ kidneys and use the images to obtain specific measurements of the organs. They feed the information into a computer and rely on a Stratasys’ color, multi-material 3D Printer, to print models of the actual organs. These color-coded replicas are assisting the doctors with pre-surgical planning, especially when dealing with inaccessible tumors and kidney sparring surgeries. Researchers believe that the 3D models help prevent nerve and blood vessel damage during the intervention and significantly lower the risk of serious post-surgical complications. Physicians in other parts of the world have also started using such tools. In a recent case, surgeons at Intermountain Medical Center in Utah studied the 3D printed model of a patient’s kidney and her tumor prior to the surgery to avoid major mistakes during the procedure. The detailed model helped Dr. Bischoff successfully remove the tumor without damaging the kidney. In another pioneering case, surgeons at Great Ormond Street Hospital in London transplanted an adult kidney into a child. Surgeons created 3D printed replicas of the donor kidney and the child’s abdomen to ensure the kidney can fit in properly. They also used the model to practice the surgery prior to the actual procedure. Given the immense impact, researchers are working hard to create machines and materials that make 3D printing more accessible and affordable for everyone. Can Bioprinting Create Transplantable Kidneys? At Fissell’s Kidney Project, doctors, scientists and bioengineers from a dozen different universities across the United States are collaborating under the supervision of Vanderbilt University Medical Center’s nephrologist and Associate Professor of Medicine Dr. William H. Fissell IV to create the first 3D bioprinted kidney for human transplantation. 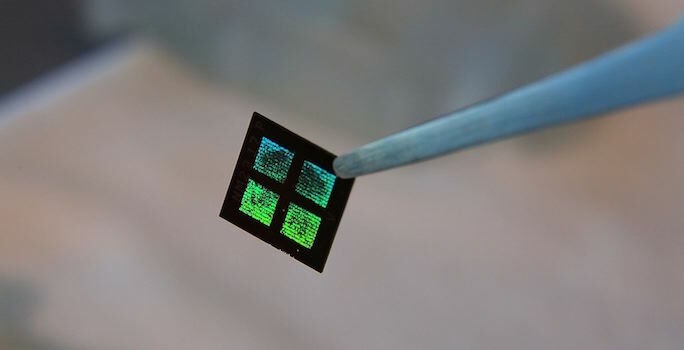 The goal is to develop a synthetic kidney with a microchip processor that acts as a mini dialysis unit. The implant will be powered by the pressure created due to natural blood flow in the body. The team expects clinical trials to begin by 2017. The National Kidney Foundation states that over 100,000 Americans are waiting for a kidney transplant with an average wait time of 3.6 years. About 13 people die each day waiting for a compatible kidney. If successful, the Fissell’s kidney project will offer hope to thousands of patients looking for a donor. Kidneys plays a crucial role in waste removal and regulation of the blood pressure, and kidney diseases can have a debilitating impact on the individual’s quality of life. Three-dimensional medical printing and bioprinting are helping overcome some of the drawbacks associated with conventional treatments and are, thereby, helping improve patient outcomes.